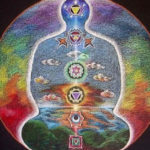 – What is the universal law of the Octave? – Complete DVD with 16 seminars inside. Each CD has inside photographic material for the understanding of the seminar. 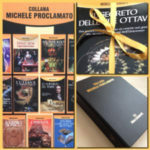 Donate an autographed book of mine by taking advantage of the special offer on two or more pieces and compose your box. ..and remember that giving a book is an art that frees up * the box can contain a choice between: leather bound box, 3/4 books, and a cd / dvd For info. Related: claudiaproclamato@gmail.com Good Life, that the octave guide us always!